February 15, 2013 (ADDIS ABABA) - An international media advocacy group has identified 10 countries where press freedom has suffered in 2012. Risk List 2012 from Committee to Protect Journalists on Vimeo. The New York-based Committee to Protect Journalists (CPJ), on Thursday released its annual “Attacks on the Press” assessment of global press freedom, revealing a rise in attacks, which it attributes to a trend of repressive press laws as well as governments’ intolerance of dissent. CPJ has for the first time compiled what it described as a “risk list” of countries that have shown the most significant “downward trends” on press freedom in 2012. Ethiopia was one among the countries listed in the new group, with its inclusion following the imprisonment of large numbers of journalists on anti-state or “terrorism” charges to thwart critical reporting, the group said. According to CPJ, Ethiopia is one of the leading jailers of journalists in Africa, with seven journalists currently behind bars. 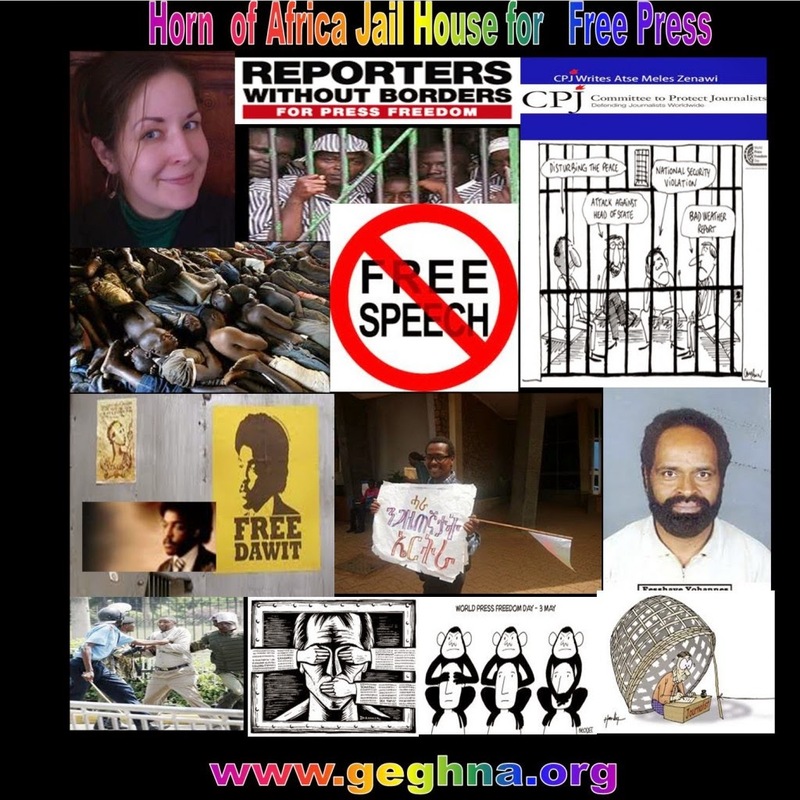 Only neighbouring Eritrea has more journalists in jail in Africa. Other worrisome “downward trends” include high murder rates and “entrenched impunity”, as well as restrictive laws targeted at silencing dissent. Other countries on the risk list are Somalia, Pakistan, Brazil, Ecuador, Turkey, Russia, Vietnam, Iran and Syria. “Attacks on the press exposes the aggressive efforts of state and non-state actors to silence journalists, particularly those covering crime, corruption, politics and conflict,” said CPJ deputy director Robert Mahoney. “The right to receive and impart information transcends borders, and international and regional bodies have a key role to play in upholding these principles, which are under attack,” he said. CPJ’s survey revealed an unprecedented rise in the number of journalists killed and imprisoned during 2012. According to the figures, 70 journalists have been killed in the course of their duty in 2012, a 43% increase over the previous year, while at least 35 journalists have disappeared. The group identified that a record 232 journalists were behind bars because of their work in 2012, an increase of 53 from 2011 and the highest since CPJ began surveys in 1990, indicating a deteriorating environment for global press freedom. “We have seen whole newspapers brought down in countries like Ethiopia because there’s been an attack,” Mahoney said. Some 79 Ethiopian journalists have fled their home country since 2001. According to the 2013 World Press Freedom Index report produced by Reporters Without Borders (RWR), Ethiopia dropped to 137th position in 2012, down from 127 the previous year.